The ships of the world, on your screen. 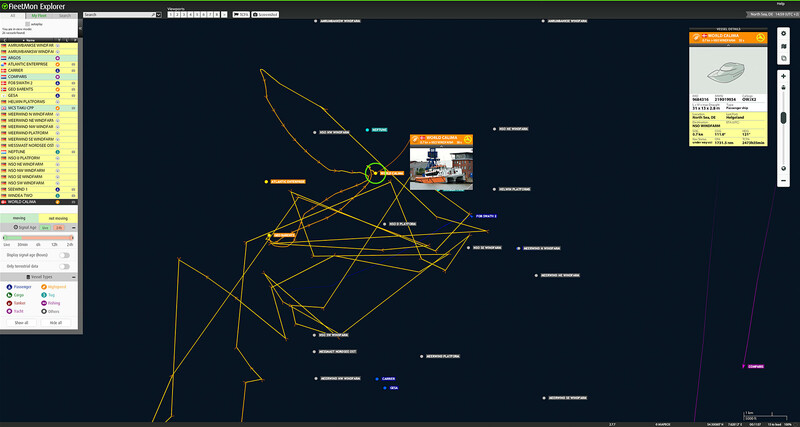 Your interactive tool for live AIS vessel tracking. Providing you with a real-time view of marine traffic, from a global overview to single ships, it is an outstanding and powerful tool for operations monitoring, fleet tracking, logistics scheduling, research and traffic analysis that runs right in your browser. Several map types are available, including satellite maps and navigation charts. Enjoy a stunning new perspective on the world of ships! Have a look at ships navigating in the port or even offshore, see vessels moor and unmoor, watch tugs and pilots do their work - FleetMon Explorer stands out offering continuous display without reloading. 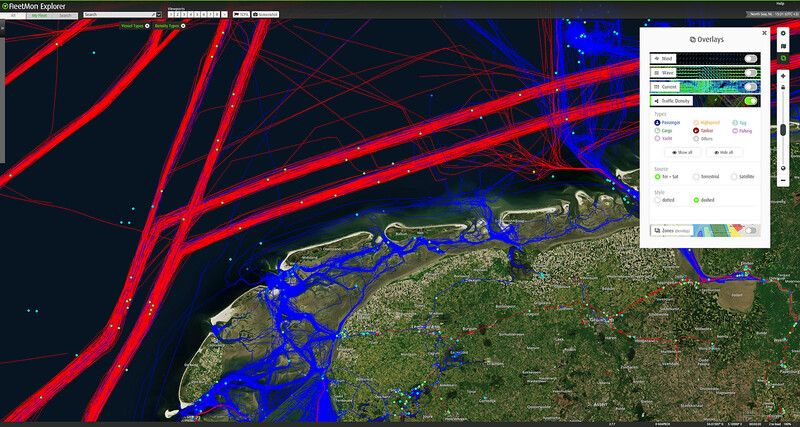 Find out details like the arrival or anchorage for more than 500000 vessels in our database. 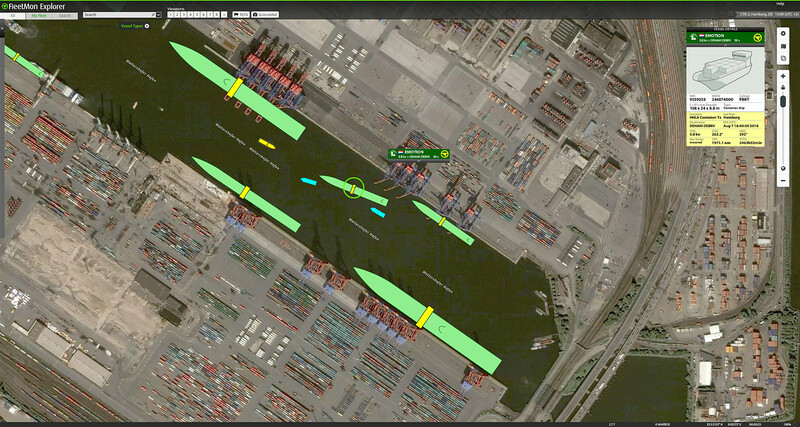 Zoom down into ports and waterways and watch vessels moving in real time. Every single position update is displayed immediately in FleetMon Explorer, no delay, no manual reload required: This makes it the ideal tool for operations monitoring, nautical supervision or traffic surveillance in ports. Vessel dimensions are of course converted and displayed in direct proportions to each other and the surroundings. 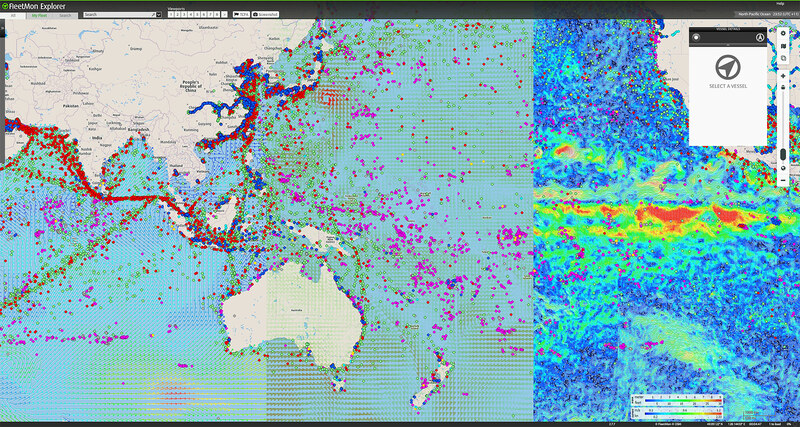 Visualize local and global shipping lanes. Determine exact traffic areas in port and at sea. Filter vessel routes by vessel and signal type. Click on any vessel and FleetMon loads and displays its past track since the last event. Hover the mouse pointer over the little arrows to look up intermediate times and speed. It's never been easier. 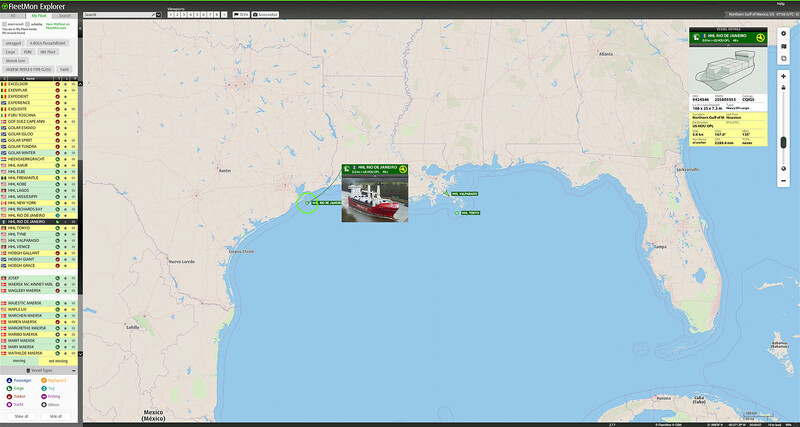 The My Fleet view in FleetMon Explorer is synchronized with FleetMon Mobile and your My Fleet on the website and gives you quick access and position overview for your favorite vessels. You can manage your fleet directly via FleetMon Explorer by clicking the star symbol in the vessel detail box. Activate the fleet presentation mode and enjoy automatic slides through your vessel's location and tracks, ideal for entrance halls or control rooms. Choose what weather and water layer you want to use. There are "Wind", "Wave" and "Current". If you like enable all three at the same time.